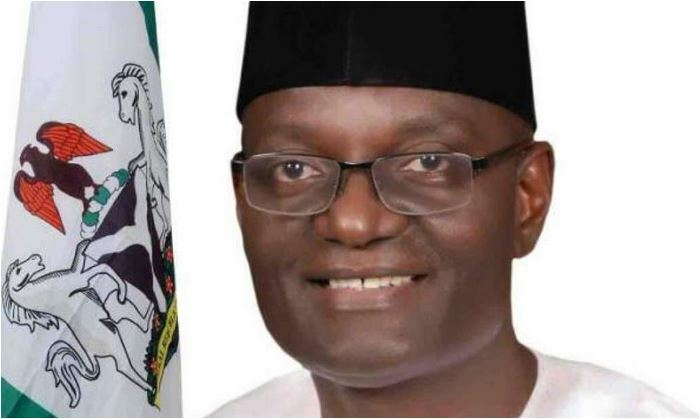 Benue state governorship candidate of the All Progressives Congress (APC) Mr. Emmanuel Jime has distanced himself from a group known as APC Fulani Nationwide which endorsed his candidature for 2019. Leader of the group Garus Gololo had granted an interview to newsmen Sunday in Makurdi and pledged the group’s loyalty to Jime’s candidature for the 2019 Benue Governorship. He claimed that the APC candidate was ready to accommodate all Fulani men and their cows and make them part of the new government in the state. But reacting, Jime alleged that the endorsement by Garus Gololo, national leader of the group was the creation of the Benue state governor, Samuel Ortom and his campaign organisation to discredit him. A statement issued to newsmen in Makurdi yesterday and signed by Sontor Solomon, Secretary, Jime campaign organisation, noted that rather than meet the APC on the highroad of issues and ideas, Ortom has remained stuck down there in the gutter of irredeemable falsehood, satanic fabrications and nervous hysteria.” “We understand the panic mode Jime’s emergence has thrown Governor Ortom into; and we also understand that Jime has given the PDP a nervous breakdown. And in that condition, anything irrational is possible, with the Ortom entourage not bothering about limits. “For us in team Jime and the Benue APC, we may be politicians, but we are still pledged to the fundamental tenets of fair-play and the high-road of an issue-based campaign. After all, it is not a do-or-die affair! However, reacting to the statement by Jime’s campaign group, President Benue Youth Forum, Terrence Kuanum, slammed Jime for taking it out on Ortom, rather than Gololo who endorsed his candidature. He said the endorsement of the APC candidate by Gololo was a game plan by the Fulani oligarchy who had earlier promised to remove Governor Ortom from office.